Jonathan Murray, BJ ’77, had no idea one PBS documentary would influence the course of his career – and television history. But it did. The emotional storytelling and real-life characters featured in the series, “An American Family,” captivated young Murray, then a high school student in upstate New York. “You actually heard people talking the way they do and not the way a writer would script it,” he says of the unscripted program. Murray, now one of the masterminds behind reality television, has made a successful career capturing real events as they happen. His production portfolio includes more than 60 television series and full-length documentaries. Murray attributes his success to the education he received at the Missouri School of Journalism and the guidance from its faculty members. He says professors such as David Dugan, Roger Gafke, Charles Burke and Ralph Lowenstein helped set his career off in the right direction. Murray’s hands-on reporting experience began at KBIA-FM, where he prepared the audiotape for broadcast by cutting the tape and putting it together. He soon transitioned from the radio station to KOMU-TV, where he started as a reporter. A field assignment sent him to the Lake of the Ozarks to report on how the winter temperatures had frozen the lake and caused damage to boats, homes and other properties. His original assignment soon took an unexpected twist. Murray and his J-School colleagues noticed a helicopter struggling in the air. The students turned their camera on the chopper and filmed as it recovered and made a soft landing. Murray’s quick thinking and instinct for news helped him when he transitioned from a reporter into a producer at KOMU-TV. He graduated from the University of Missouri in 1977 with a bachelor’s degree in journalism. 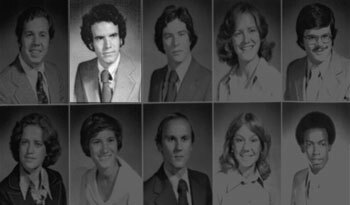 After graduation, Murray used a reel of newscasts he produced at KOMU-TV as part of his job application. The production reel helped him land his first job. Murray’s first job took him to WLUK-TV in Green Bay, Wisc., where he produced the 10 o’clock news. There, he worked on complex stories that lasted four or five minutes, instead of the shorter packages he’d made for KOMU-TV. His new job required more advanced editing techniques. The technological challenges with the new job led rookie Murray to make many mistakes, he says. The lessons Murray learned early on in his work experience, such as how to structure a show to hold an audience and how to work with sources, helped him advance his career. After his brief stint in Wisconsin, Murray moved to Atlanta, a larger television market, to work as a producer for WXIA-TV, then an ABC-affiliate. Murray then moved to Rochester, N.Y., to work first as a news producer and then as the station’s program director. There, he got his first taste of television programming helping with a newsmagazine, a local talk show and other local-interest programs. He continued working in television and later transferred to NBC-owned and -operated WKYC-TV in Cleveland to take a job as its news manager. After climbing the media management ladder, Murray was lured back to Rochester by a chance to become the channel’s station manager. It was during his second time in the city that he started making documentaries. Murray’s varied experience was preparing him for a job that would require him to know all aspects of media: reporting, production, programming and planning. In 1992, Bunim and Murray’s “The Real World” launched a new television genre known as ‘docu-soap,’ or what many would now refer to as reality television. Murray eventually ended up in New York working for HRP, Inc., a company that sold national television spot time for local stations. In his job, he advised more than 40 television affiliates around the country on the purchase and scheduling of their syndicated programming. One of the shows Murray pitched, called “Crime Diaries,” generated interest from New World Television, a unit of then New World Entertainment, an independent motion picture and television production company. He moved to Los Angeles to make a pilot for the show and decided to stay there. Murray kept making pilots with his new business partner, Mary Ellis Bunim, who previously had worked as an executive producer for daytime soap operas. In 1991, Murray and Bunim worked with MTV executives on an idea for a scripted series about young people beginning their lives in New York. “Ultimately, MTV didn’t want to do a scripted show, so we turned it into an unscripted show – essentially a ‘docu-soap’—and that’s how ‘The Real World’ came about,” Murray says. “The Real World” television series made its debut in 1992. The show chronicled the lives of a group of strangers. The cast members lived together, and cameras captured the dynamics of their interpersonal relationships as they transitioned to life in New York. Bunim and Murray’s creative idea had launched an exploratory genre now known as modern-day reality television. “The Real World” premiere received strong ratings from the network’s intended teenage audience. Twenty-nine seasons later, “The Real World” continues to capture young audiences watching MTV. “It breaks the conventional rules of television, which are that you keep the same cast from season to season and that you keep the same location,” Murray says of the show’s continued success. He is proud of how the show brings together dynamic individuals with the hope that all would grow from the experience. But some critics argue the cast members’ extreme personalities make the show artificial. After the creation of “The Real World,” Bunim and Murray’s partnership developed into a full-production house and launched more television projects including “Road Rules,” “Love Cruise,” “Making the Band,” “The Simple Life” and “Starting Over,” for which Murray won his first Emmy Award. Bunim passed away in 2004 after a battle with cancer, leaving Murray to head the production company as chairman and president. He says the transition was difficult, but his employees helped him get through it. “I’ve built a good team of people, and we just move forward,” Murray says. More recently, Murray turned his cameras on five youngsters with autism as they developed their creative sides and prepared a musical production. “Autism: the Musical,” an HBO special, earned Murray a second Emmy Award. “I love being able to use our resources to put our cameras on important subjects,” he says. In 2013, Murray was inducted into the Television Academy’s Hall of Fame. In 2014, Murray gave a gift of $6.7 million to create a documentary journalism program at the Missouri School of Journalism. Murray (top row, second from left) graduated from the Missouri School of Journalism in 1977. Murray says the storytelling lessons he learned at the J-School continue to influence his work as a producer. In addition to developing storytelling skills at the Missouri School of Journalism, Murray says his liberal arts education taught him how to think and how to succeed. Murray says he appreciates his own education and in turn looks for employees with liberal arts backgrounds. “I’m always looking for well-rounded people – people who know how to think, who are organized, who are curious about the world, and who have opinions that they can back up,” he says. Murray traveled to Columbia in September 2011 to share his reality television expertise with journalism students during a daylong Reality Television Symposium at the Missouri School of Journalism. Other accomplished broadcast news alumni at the symposium included Linda Bell Blue, BJ ’78, executive producer of “Entertainment Tonight,” Jim Berger, BJ ’78, of High Noon Entertainment, and Lance Heflin, BJ ’77, of LHeflin Filmworks. During a breakout session, Murray took time to share the benefits of his Missouri journalism education. “The foundation I received here – I can’t put a price tag on it,” he says. The reality television legend says he has the best job in the world. “The foundation I received here – I can’t put a price tag on it,” Murray says. “I’m always looking for well-rounded people – people who know how to think, who are organized, who are curious about the world, and who have opinions that they can back up,” Murray says. Jesslyn Tenhouse, a strategic communication master’s student, graduated from Truman State University in Kirksville, Mo., in 2009 with a bachelor’s degree in communication and Spanish minor. She has interned in the research department at Fleishman-Hillard in St. Louis, the public relations department at Truman State University and at Stephen Ministries, a nonprofit organization headquartered in St. Louis. Tenhouse also filled a temporary position in the public relations department at Columbia College in Columbia, Mo., before enrolling in the Missouri School of Journalism. She works as a graduate assistant at the MU News Bureau. After graduation, Tenhouse hopes to practice public relations at a higher-education instutition or nonprofit organization.